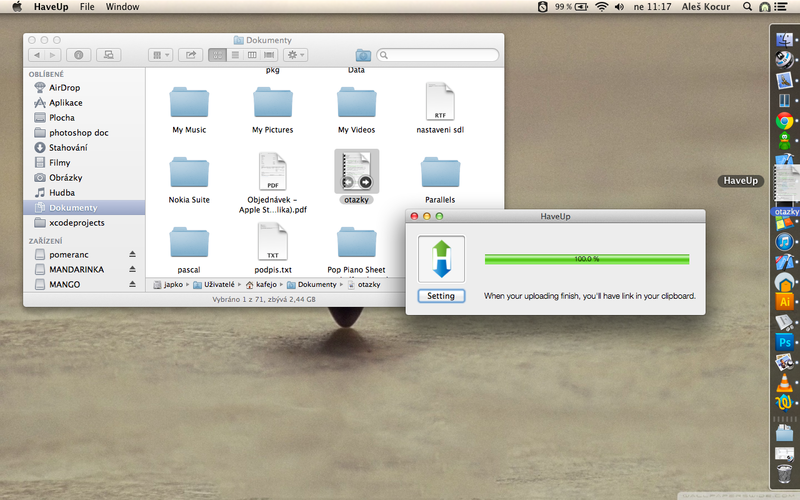 A simple uploader for Mac OS X. In case of source code open the project file, compile it and copy .app file to /Application folder. There are four things you have to set up. Only one you have to do is push CMD+V. Enjoy. HaveUp-mac is released under GNU/GPL.